City Manager Jeff Fleming presented a balanced budget today with no tax increase. In order to balance the budget and deal with a shortfall of $644,000, cuts had to be made. As city manager, Fleming is required to present a balanced general fund budget each year. He shared city efficiencies, strong operations and a declining employee per capita – doing more with less. Even with strong operations, the city is left with a shortfall of $644,000. This shortfall is a result of a reduction in educational funding by the Sullivan County Commission. 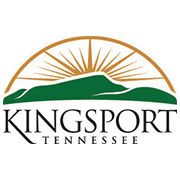 Cut OneKingsport funding by 35% ($245,000). The average homeowner will see a $7/year increase. Keep special programs, capital funding and OneKingsport whole and projects on schedule. The average homeowner will see a $14/year increase. After much deliberation, the BMA moved forward with Option A, a cutting of services and no tax increase. Next steps include passing the fiscal year 2019 budget. To pass the budget, there must be two readings by the BMA. Those meetings will occur on June 5th and 19th. To view the General Budget presentation, please click here. To view the Utilities Budget presentation, please click here. To view the Kingsport City Schools Budget presentation, please click here.